The Summer Steam Sale is out and I am broke and ready to give you guys tons of reviews. I’ve been playing video games for a couple of weeks now, which is why I didn’t post as much, but it’s all worth it because I have a lot of reviews to post and I still have a ton of video games to play so thank you, Summer Steam Sale. Today, I’m going to post Five Nights at Freddy’s Sister Location that came with the Five Nights at Freddy’s Bundle on Steam, which is on sale. Five Night’s at Freddy’s: Sister Location is a point-and-click survival horror game, developed and published by Scott Cawthon, which released for the PC in October 2016. I’ve played all of the Five Nights at Freddy’s games and I feel like that this one had a lot more story to it and the map is a lot bigger because there are different areas to go to and different challenges to overcome and with that, the game was a little bit easier for me. 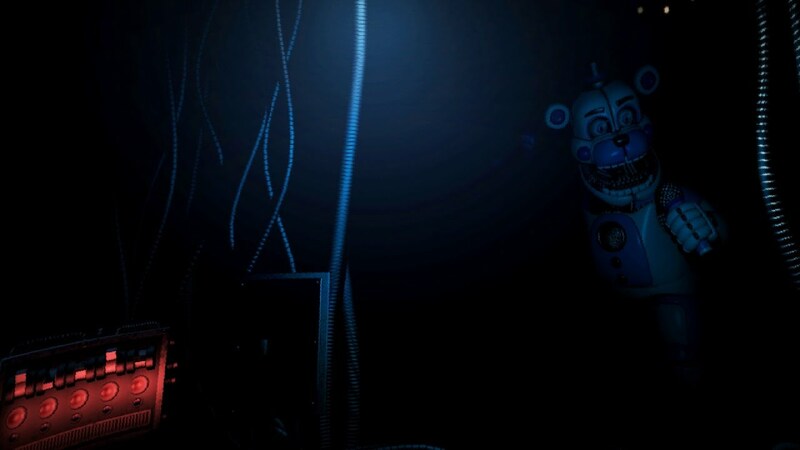 So, instead of staying in one room the entire time to fend off the animatronics for a whole night, you travel to different rooms via a vent and you have to sneak across the room to not wake up or bother the animatronics in that room. Night 1 was easy. 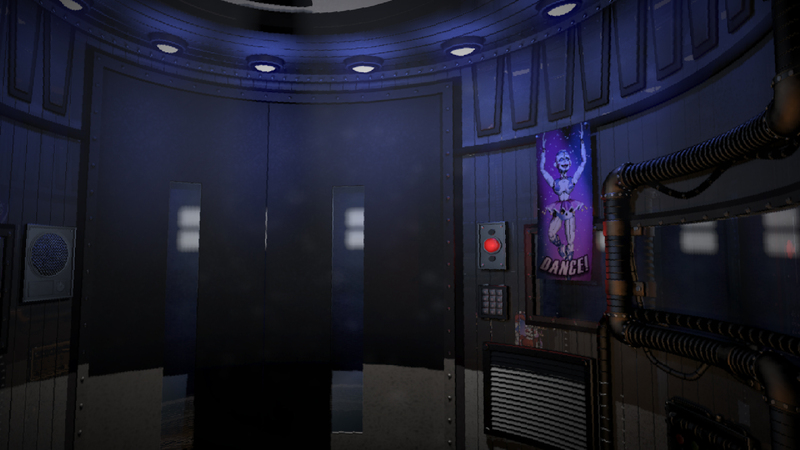 The HandUnit, which is the AI that will help you throughout the game, will basically give you the rundown of the area and will take you to the central room with a room on each side with Ballora’s Gallery on the left and Funtime Foxy’s room on the right. 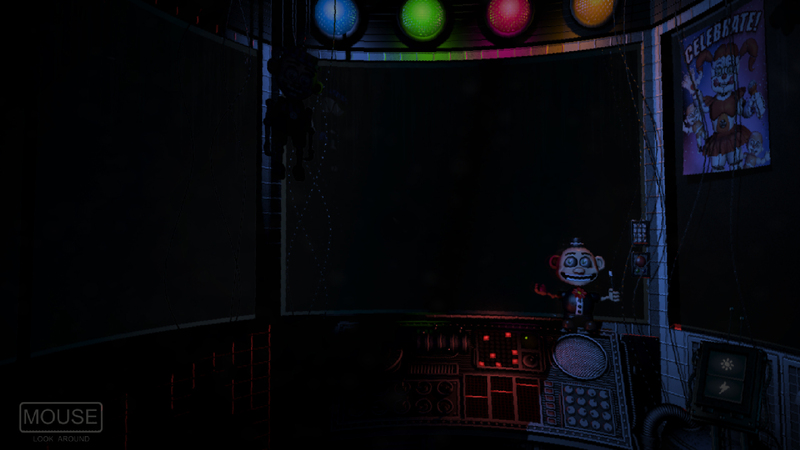 The HandUnit will tell you to look at the stages with a light to see if the animatronics are there and if they’re not there, the HandUnit will tell you to “motivate” them with a controlled shock. When you shock them, they go back to their place on the stage. The story of the game is actually incredibly dark, in my opinion. Now, if you want to figure out the entire story, when you die, there is the 8-bit minigame to play and even if you don’t succeed the first time, you can always try again when you die again. There are two endings in the game and I got both of them and this story is one of my favorites just because of how horrific it is and I’m one for a good horror story. Now overall, the most difficult night was Night 4 and I swear I died so many times. With any Five Nights at Freddy’s game, it’s best to wear headphones because the low sounds and soft talking in the background will help with succeeding throughout the night. Wearing headphones makes the game a lot easier besides getting killed and hearing the loud, screaming animatronics in your ear, which makes the game a lot scarier. The cool thing about this game is that it will piece all of the Five Nights at Freddy’s lore together and you can kinda figure out what is going on from the first Five Nights at Freddy’s game until now. Have you guys played any of the Five Nights at Freddy’s games?